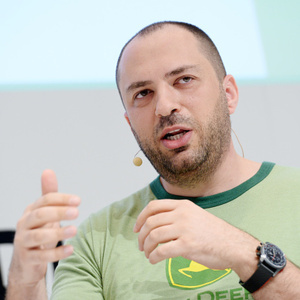 How much is Jan Koum Worth? Jan Koum net worth: Jan Koum is a Ukrainian born internet entrepreneur who has a net worth of $9.6 billion. 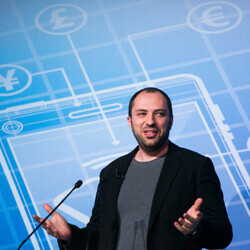 Jan Koum is the co-founder of the enormously popular smartphone messaging service WhatsApp. On February 19, 2014 Jan Koum sold WhatsApp to Facebook for $19 billion in cash and stock. At the time of the sale Koum still maintained a 45% ownership stake in his company. His co-founder Brian Acton owned 20% and became instantly worth $3.8 billion. 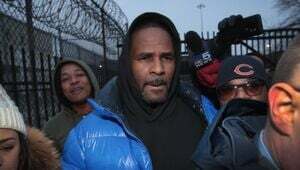 The deal was made up of 184 million common stock shares (which on the day of the sale were worth $12.5 billion) and $4 billion in cash. 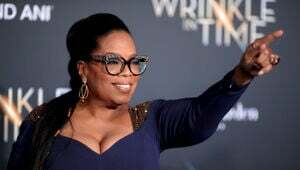 An additional 46 million shares were set aside for the owners which vests over several years as long as they stayed employed at Facebook. WhatsApp is the worlds most popular messaging service. At the time of the sale it had 450 million users and was adding one million users every single day. Jan Koum attended San Jose State University before landing a job at Yahoo where he stayed for nine years. He met his future billionaire co-founder while they were both working as engineers at Yahoo. They left Yahoo in 2009 and launched WhatsApp soon after. 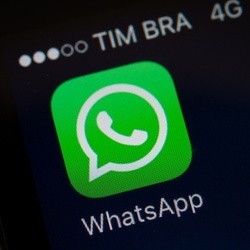 WhatsApp allows users to send text messages and photos for free using their broadband data instead of a text message plan. The service is free for the first year then just $0.99 a year from then on. WhatsApp Founder Jan Koum Quits Facebook Over Privacy Conerns - And It Could Cost Him $1 Billion!